Are the kids ready for their first "big" pool? 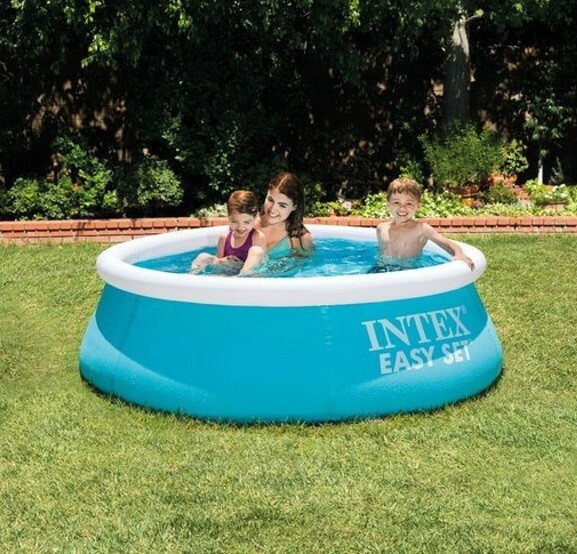 This unique, perfectly sized Intex Easy Set® inflatable pool is super-easy for parents to set up, and just the right size for younger kids to enjoy their first "big person" pool! Ready for water in 10 minutes, simply spread out on level ground, inflate the top ring, fill the pool with water, and enjoy the fun.